If you’re currently on the fence about whether you should offer these types of benefits, consider the following list of things your organization will be able to do if you decide to offer postsecondary education benefits. Most of your prospective employees will have already acquired some student debt or will need to do so to stay competitive at your organization or within the industry, and more of these prospective employees will be concerned with how they will pay for this education. In 2018, U.S. college graduates collectively owed nearly $1.5 trillion in student debt, and 30% of all U.S. adults have incurred debt to finance some form of postsecondary education—numbers that increase each year. So, your organization will become more desirable to highly educated and skilled prospects and will be able to be more selective when evaluating them if it decides to offer postsecondary education benefits. Your organization can customize its employees’ skills through tuition reimbursement programs by paying for and advocating for postsecondary education programs that are aligned with its industry, goals, and future objectives. For example, if your organization is planning to build a new information technology platform, it could pay for some employees to take courses and programs in advanced coding, networking, etc., and it could also partner with colleges to tailor those courses and programs to the organization’s specific needs and goals. By offering continual postsecondary education benefits, your employees will always have the most relevant skills for your industry, making your organization more competitive. Also, your employees won’t be bored or disengaged because they will be empowered to seek new challenges and learning opportunities that enhance their own knowledge and growth. According to research highlighted by Society for Human Resource Management, employees who receive postsecondary education benefits stay with an organization longer, most likely because they’re more engaged, more productive, and more likely to be promoted or switch to more desirable roles within the organization. One study has even shown that postsecondary education benefits can cut attrition by more than half for less tenured employees. Overall, postsecondary education benefits can lead to lower employee attrition, recruiting costs, and training costs, as well as more engaged, knowledgeable, and productive employees, leading to a healthier bottom line for your organization. 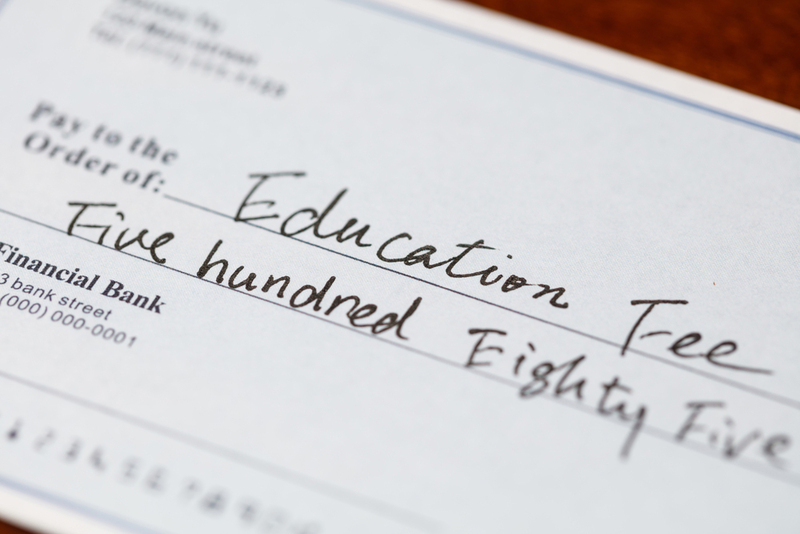 And as an added bonus, employers that offer postsecondary education benefits can also receive certain tax benefits.